As part of the Leonardo's monthly wine-and-food series, December's Libations at the Leonardo presents a menu of creative takes on traditional holiday dishes. Sommelier and owner of the Wine Academy of Utah Jim Santangelo also offers thoughtful wine pairings for each dish. 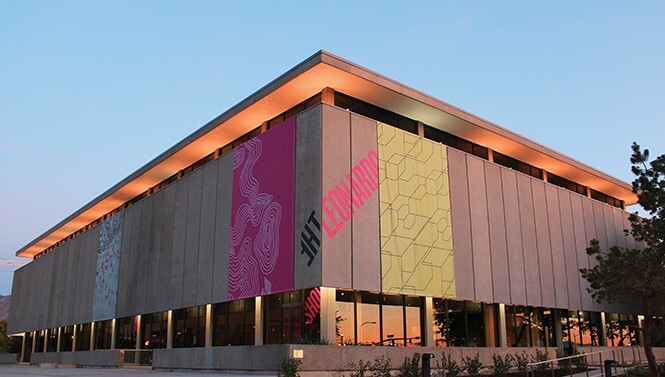 Attendees can expect to be treated to multiple courses of high-end cuisine set against the backdrop of one of the state's finest contemporary museums. Mark your calendars for Thursday, Dec. 14, 6-8 p.m. Tickets start at $55 and guests can add the wine pairing for an additional $20. More at theleonardo.org. For those who think of brandy as more than just a hit song by 1970s soft rock quartet Looking Glass, Under Current Bar has one hell of an event in store. House mixologists share their spirited expertise on brandy in all of its forms, including cognac, Armagnac and pisco. Each tasting is thoughtfully paired with gourmet morsels provided by Alan Brines of Current Fish & Oyster. No specifics regarding the final menu were available at press time, but rumor has it classically prepared eggnog might make an appearance. The event takes place on Saturday, Dec. 16 from 2-4 p.m. Tickets are $55; call 801-574-2556 or visit undercurrentbar.com to RSVP. Many downtown denizens mourned SoCo Kitchen's closure earlier this summer. Succumbing to the ever-fickle market, the Main Street purveyor of Southern eats left a noticeable comfort cooking void. Those in the mood for some downhome grub should rejoice, however, as Pretty Bird, Chef Viet Pham's Nashville-inspired casual eatery, is set to open its Regent Street doors by year's end. The move is sure to give the Eccles Theater crowd—and anyone hankering for a hot-chicken fix, for that matter—reason to clucking celebrate.